Premiere bundles for any seed seller, whether you are a seasoned veteran or a brand new rookie trying to start out on the right foot. Give yourself and your team a Blueprint to follow. A sales blueprint to succeed. Learn more about an exclusive live seed/Ag sales training workshop open to the public! The SeedSeller Academy is a monthly membership subscription that teaches the latest seed selling strategies and tactics. Each month you get online access to video classes, study guides, scripts and live conference calls. 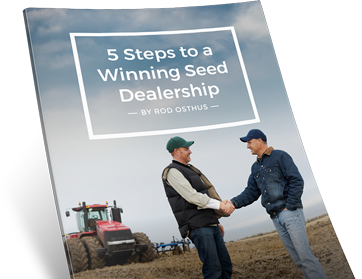 Give yourself the edge with our latest (FREE) sales tools for seed & Ag Sellers.